Walking with Jesus: Day 100: Luke 1:57-80 & Psalm 101 - What Does it Look Like to Repent? Day 100: Luke 1:57-80 & Psalm 101 - What Does it Look Like to Repent? When you fail and God disciplines you, how do you respond? Yesterday, we looked at Zechariah's doubt and saw that his was sinful because he doubted God's truthfulness. We saw that Gabriel rebukes him and that God disciplined him by making him unable to speak until after John's birth. Today, we see Zechariah restored gloriously and, in being restored, he gives us a model of true repentance. As followers of Jesus, we need to know how to repent well. Because we sin daily, in ways we don't even realize, the words of Martin Luther echo truth to us 500 years later, "When our Lord and Master Jesus Christ said, `Repent' (Mt 4:17), He willed the entire life of believers to be one of repentance." So, how can we follow Zechariah's example and repent well? 1. He does not complain about the consequence God gives. If I had been unable to speak for over 10 months, I might be tempted to complain. Zechariah does not. Whatever discipline or consequence God gives, we know it is much less than our sins deserve. Christ took the true punishment on Himself on the cross, and whatever consequence God gives us is for our good and very limited. 2. He does not blame anyone else for his sin. 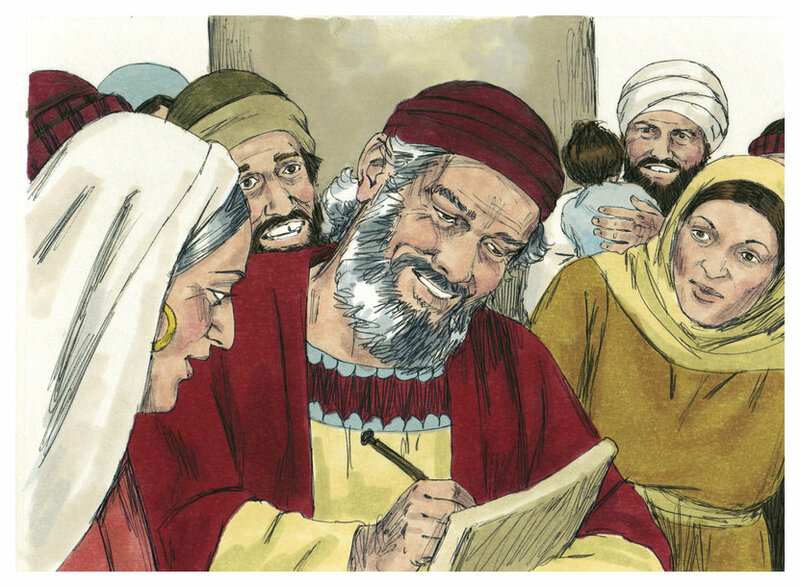 Zechariah doesn't look for someone to blame, to escape responsibility. 3. He does not dwell on his sin at all. Zechariah does not try to explain why he questioned Gabriel or why he was disciplined. 2. Zechariah praised God. Once his tongue was loosened, Zechariah immediately glorified God. Our obedience is true obedience if we glorify God. If we're seeking to exalt ourselves or prove ourselves righteous, we have missed the point. Glorifying God alone is the fruit of repentance. 3. Zechariah spoke the truth of God, declaring His deeds and proclaiming His Gospel. Zechariah's wonderful speech in vv. 67-79 is a beautiful proclamation of saving activity of God. It is Gospel preaching at its finest - covenantal, biblical, God-centered, worshipful. So when God disciplines us for our sin, we must accept the consequences and be thankful, never seek to pass the blame or dwell on our sin, but obey God, praise Him and speak forth His Gospel truth. This is the rhythm of the Christian life: repent, believe, obey, proclaim. Because of the finished work of Jesus, we are given the gift of being able to do this, rather than having to wallow in our sin, despair of our future and feel sorry for ourselves. Praise God from Whom all blessing flow, including the grace of repentance! I will ponder the way of Christ, Who is blameless. it must not cling to me. That I may know nothing of evil. let them never lead me astray from You! Purify Your city from false brethren, hypocrites, deceivers and make us Your people indeed! In the name of Jesus the Blameless One, Amen.